Modification No.1 – Power, safety and cold beer, not in that order. Ok, enough of the emotional fluff from Jess, time for something really interesting! Modifications to the Prado! Yeah! (To our female readers, this is your queue to switch to your Facebook page and go and ‘like’ people’s pictures of cats and e-harmony cards, or turn on Home and Away). For anyone else, you know the drill…..Matt has had a beer or three and is in the mood to write, I suggest you grab a beer of your own. As a guide, this post took 4 beers to write. Good luck. 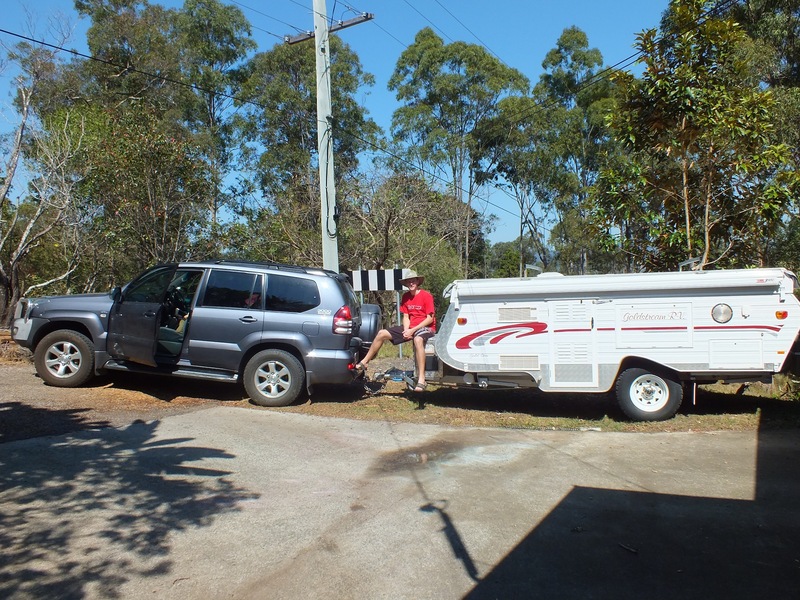 So the first modification was to install the brake controller after thankfully learning early on that without it, we were actually illegal, and being we intended to camp every month from the day we purchased Karen Camper to the day we depart for the big trip, we needed that sorted asap. 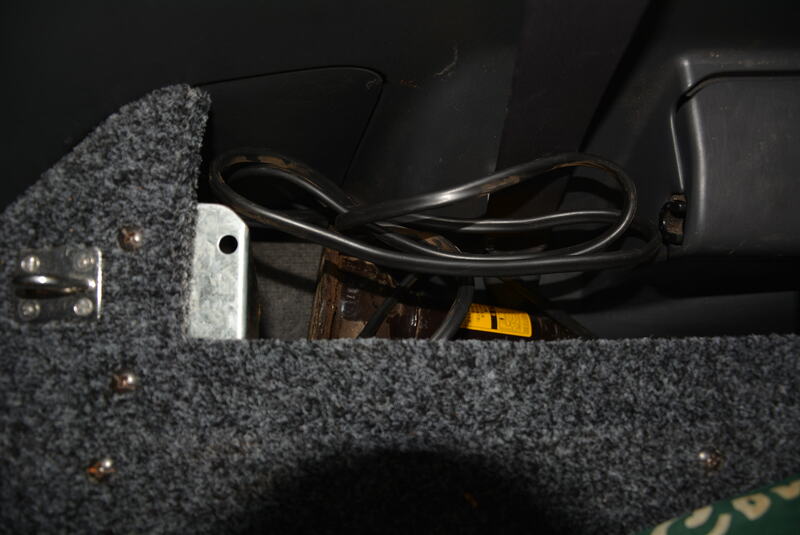 While we would be running cable for the brake controller, we knew we would also need an Anderson plug to allow the car to charge Karen’s batteries while we drive. We also knew that we would need a second fridge, preferably in the car so when we did day trips away from the Camper we would have cold storage (read: beer). Having a fridge in the back of the car meant upgrading the power outlets to the back of the car (to handle the current draw of a fridge) and, unless we wanted to run the risk of being stranded in the middle of nowhere with a car that wont start (or worse, warm beer) we would need a second battery set up. It was clear the first modifications were going to be electrical. Thankfully we play squash with a top bloke who is an auto electrician, and who is very meticulous. 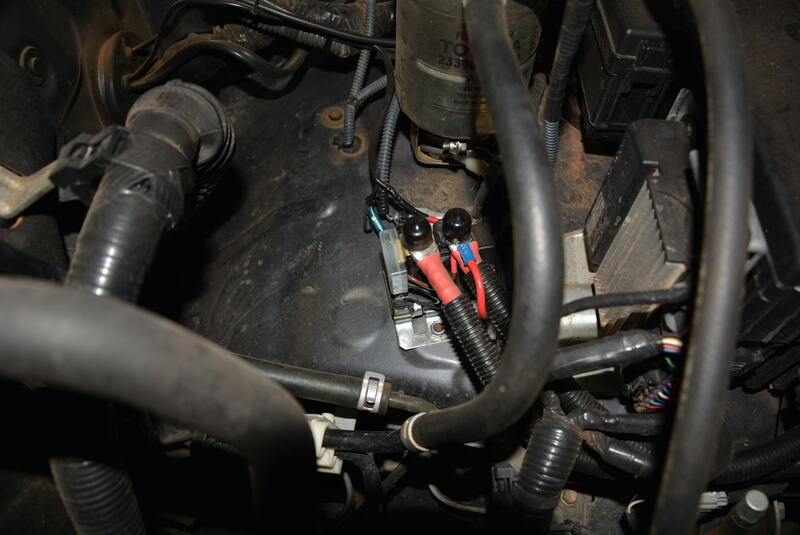 So off to Russell from Kedron Car Electrics (07 33594411) to do up a dual battery install with redarc isolator, heavy-duty power outlet in the rear, Anderson plug and while we are at it, throw a few extra power sockets in the second row of seats to charge the iPad and torches. 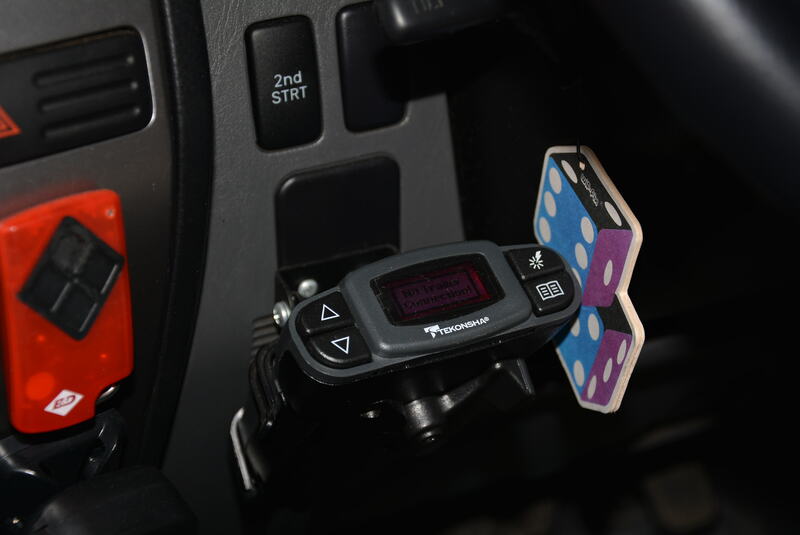 Tekonsha P3 Brake Controller installed into a ‘Blank’ behind the steering wheel. While Russ was at it, he put in a “Momentary Push Button Battery Switch” which is a fantastic idea. The “Momentary Push Button Battery Switch” Genius! You see, my ultimate goal when designing this dual battery system was to (try) and ensure that we would never be in a position of not being able to start the car, either because of a flat or broken/failed battery. Also after Stewie and Myra explaining their disappointment of feeling like they had to rush parts of their trip worrying about the car fridge running the starter battery flat, it was priority No.1 to always be able to start the car. 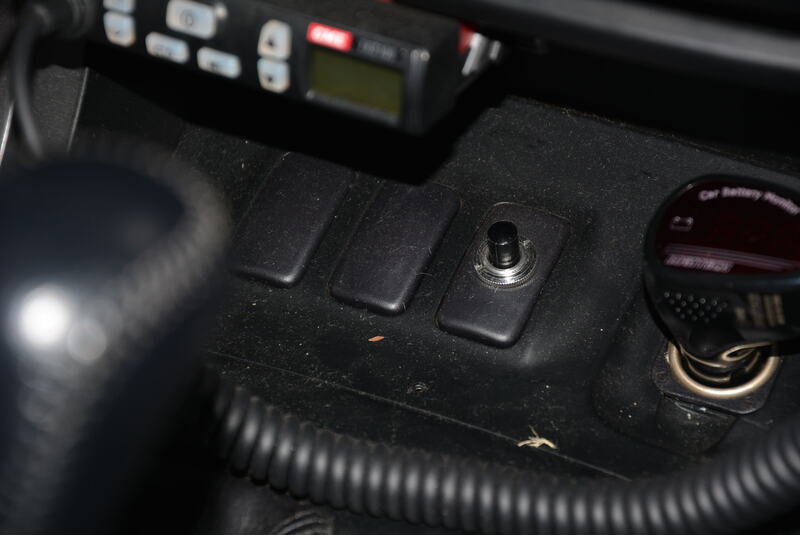 So, we still start the car as per normal, but lets say somewhere along the line, the starter battery does go flat or fails or breaks, all we do is hold down the little button on the dash that momentarily switches over to the auxiliary battery to start the car. 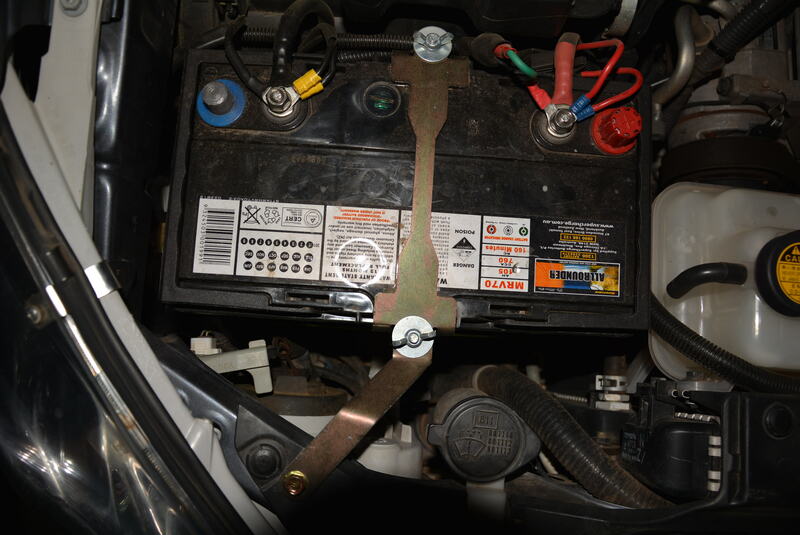 This way we can recharge the starter, or, continue to start the car until we can get somewhere where we can replace the broken battery….love it, Great Tip Russ. Actually, another great tip from Russ, he ran the heavy-duty power lead for the fridge to the back and into the little compartment for the bottle jack. 2. 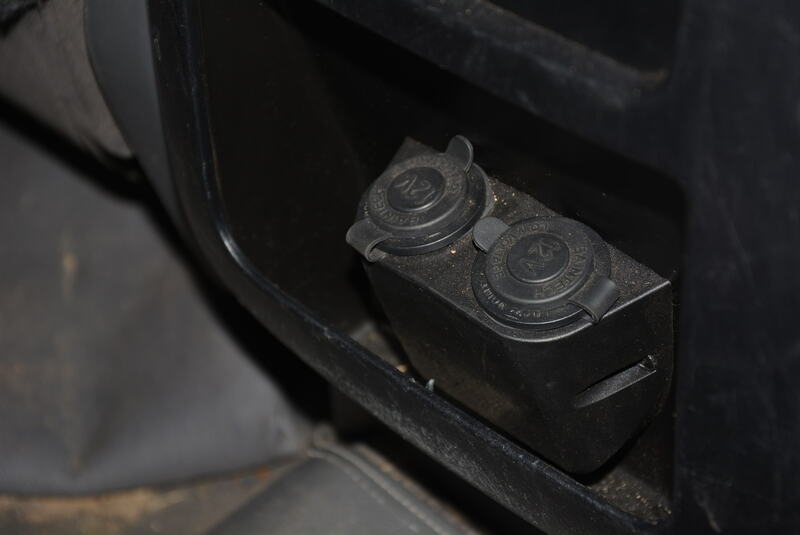 It is not permanently installed by cutting a hole in some arbitrary place in the plastic trim of the car. Russ left about 3 meters of extra lead on it that just rolls up and hides in the jack compartment, this means it can act pretty much as a 3 meter extension cord for power from the car, be it for the fridge if we wanted to take it out and under a tree during a picnic, or for a light or anything requiring the 12V! So we installed a 105Amp/hour “Allrounder” battery (not purely deep cycle, so we can start from it, not purely a start battery, so we can deep cycle from it), Russ assured me that it should in most conditions happily run the car fridge for about 4 days without having to start the car or hook up any solar etc. I tested this theory over (the HOT) Christmas, and he was spot on, at the end of the 4th day, the fridge switched off. For the nerds out there, I had the Waeco set to -1deg (mmmm cold beer) and on the lowest low voltage cut out setting, meaning the battery would have been quite flat, but not totally dead. I had intended to try and start the car from the second battery at this point just to see if it would, but I forgot, bugger. Now I have to spend another 4 days of stringent testing, requiring me to find a way to ‘replicate’ the real world conditions of running the car fridge for 4 days, with regular intervals (say every 30mins) of opening and closing the fridge for, I don’t know, some kind of beverage maybe….. how am I going to do that? Would anyone like to help? I digress…..so, with the redarc battery system installed, once we start the car it will immediately begin charging the starter battery, once it is fully charged, it will isolate the starter, and begin charging the second battery, and once it is charged, will send all the alternator power to the Anderson plug to charge Karen’s battery. So with all this done, it was time to think about Modification number 2……hmmmm anyone see what is wrong with this picture? If anyone makes any comment about me needing to “lay off the pies”…..